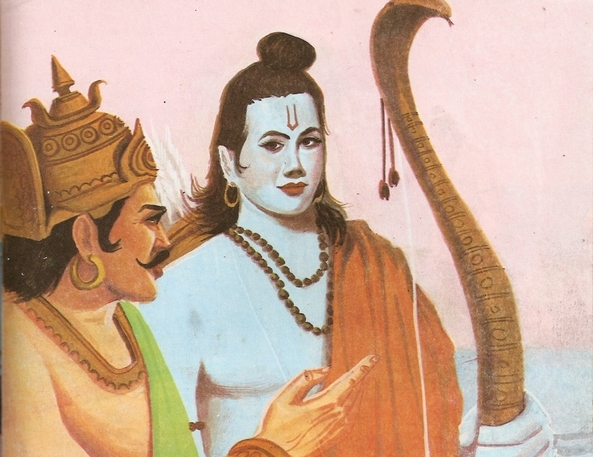 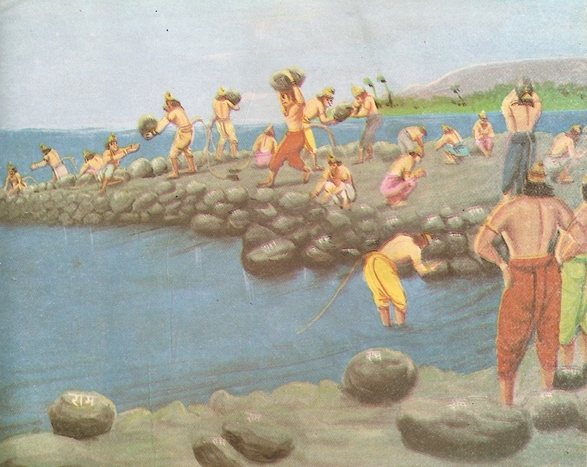 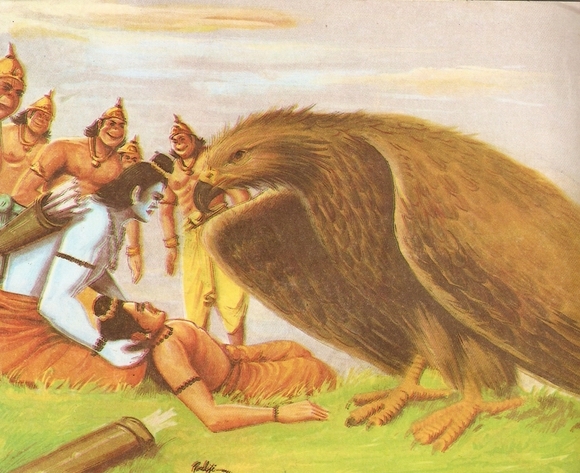 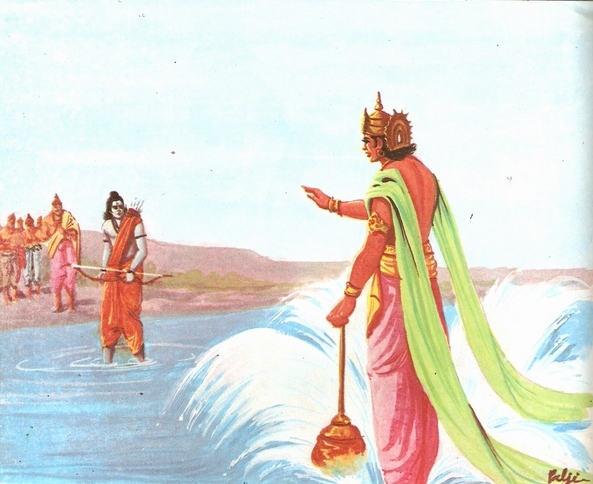 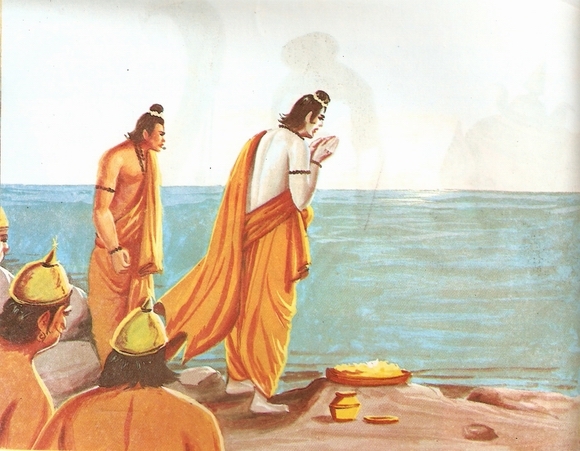 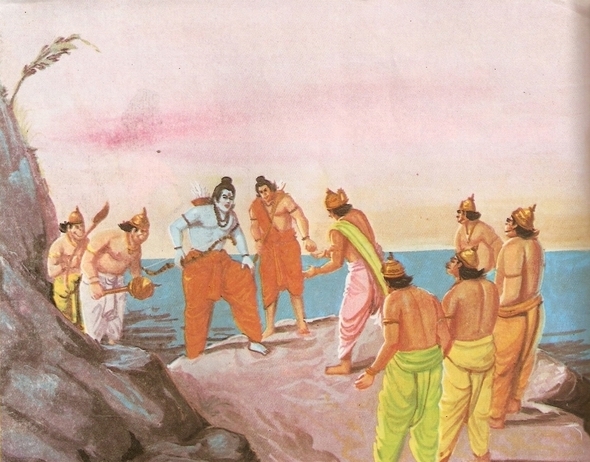 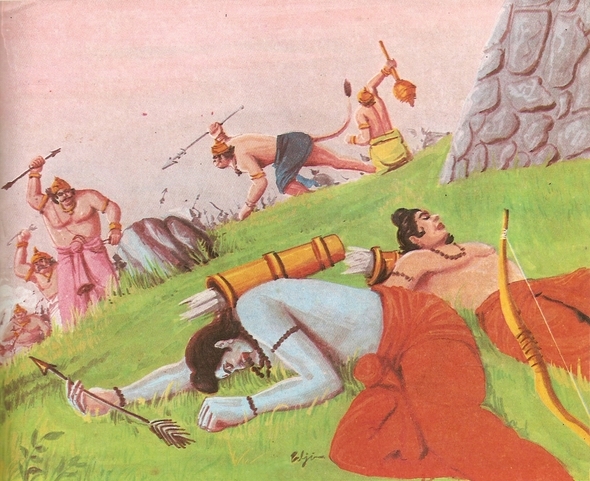 “Lakshmana will do it,” said Rama. 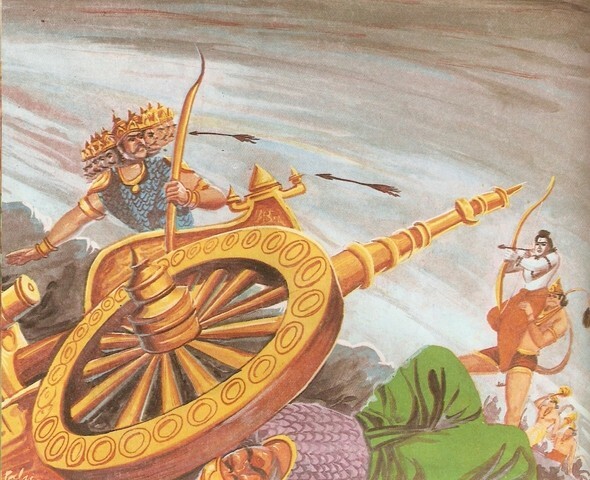 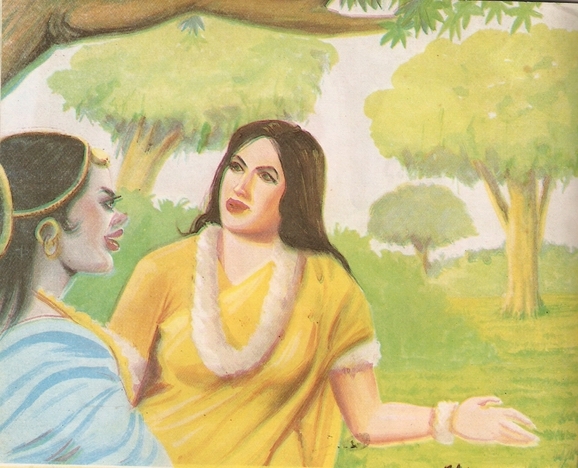 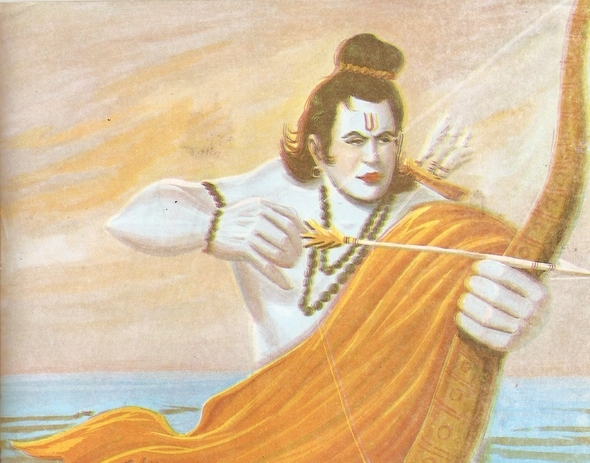 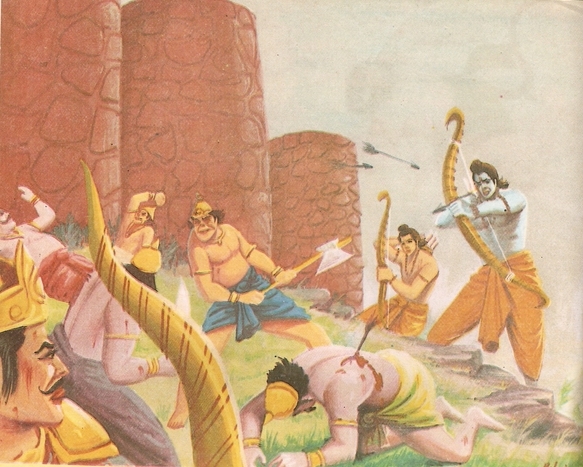 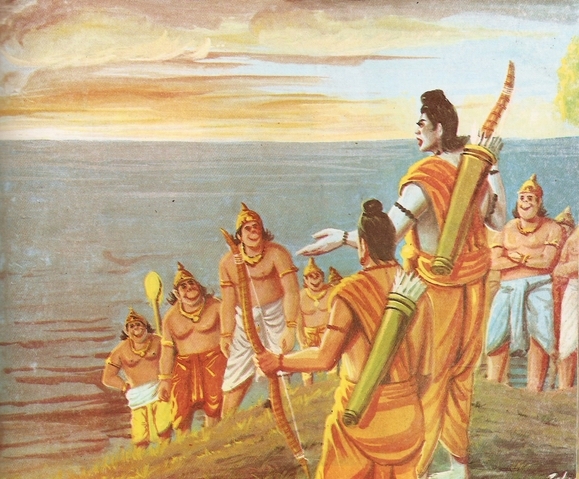 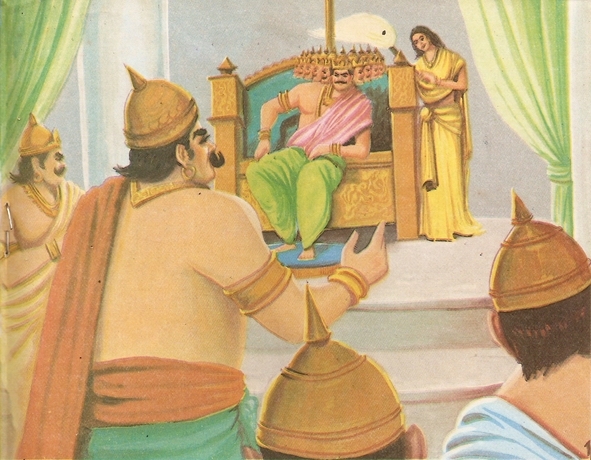 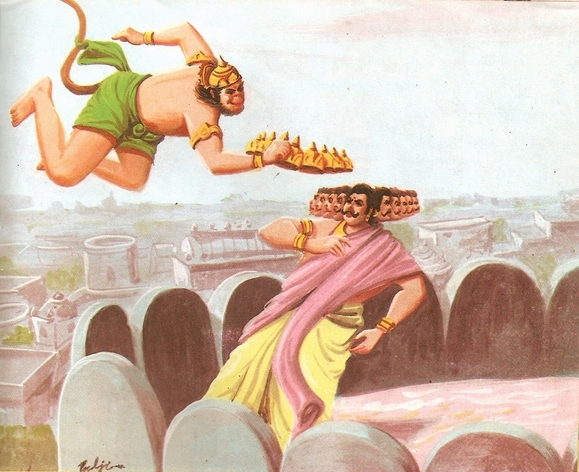 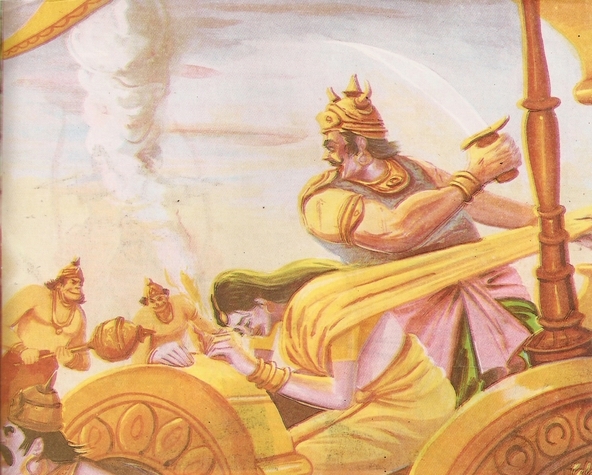 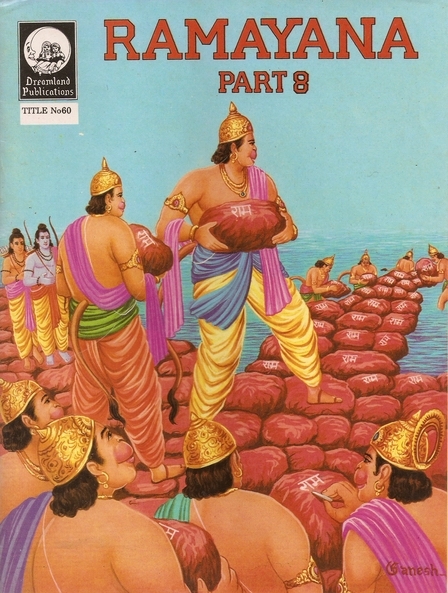 Hearing Rama’s words, Lakshmana rushed to the battle-field and challenged Meghanada for a battle. 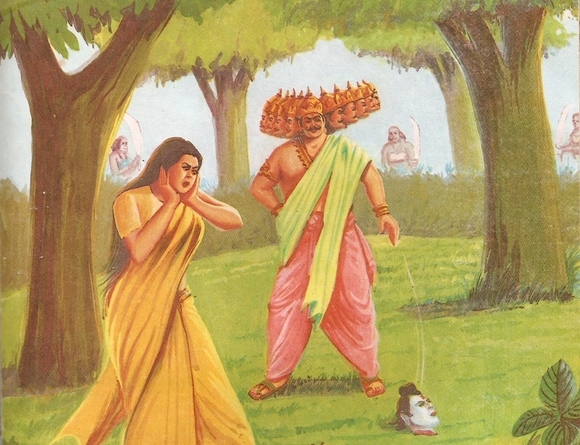 Thus the Yajna remained incomplete and Meghanada got up to face Lakshmana. 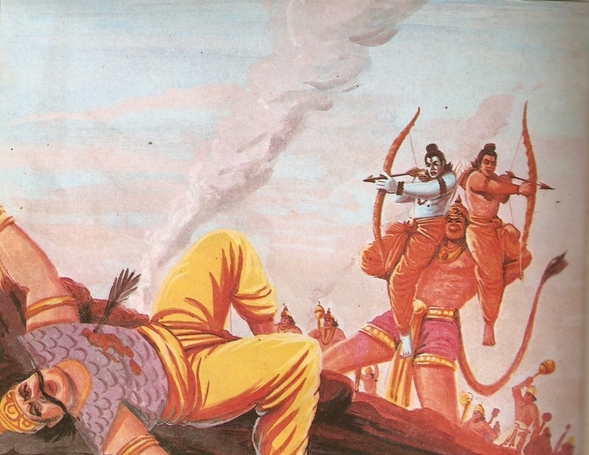 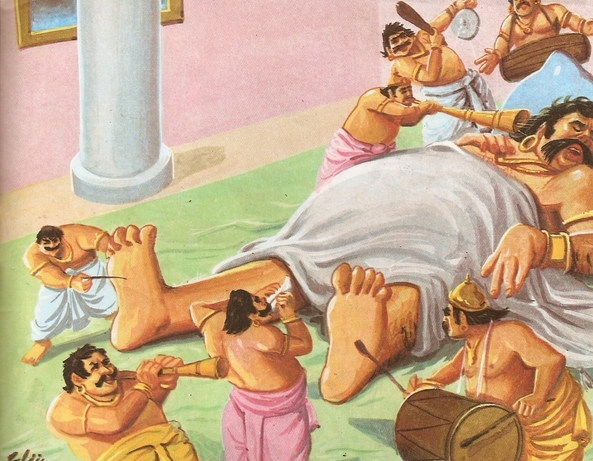 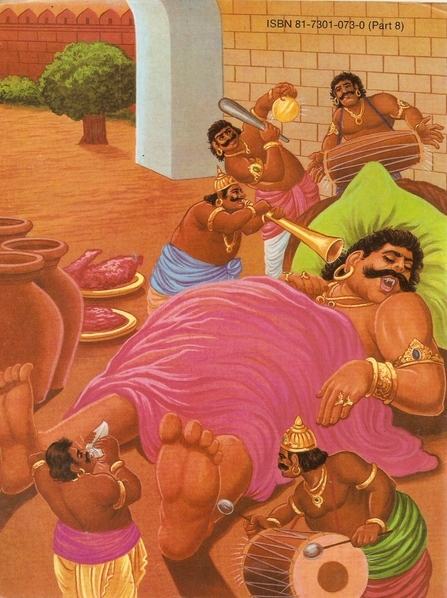 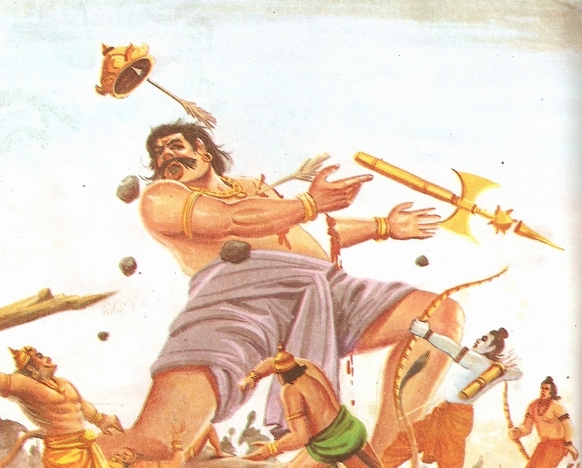 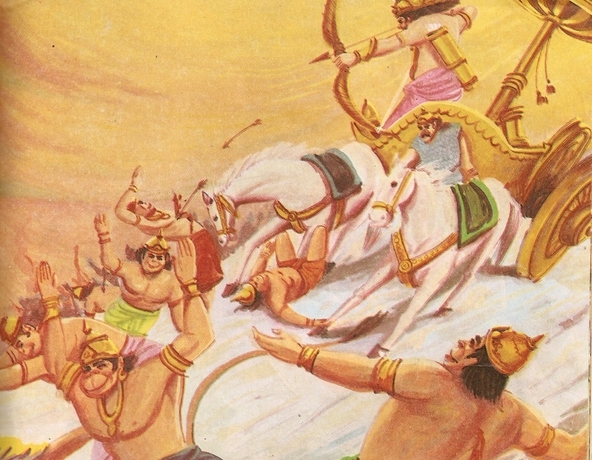 But he could not bear the brunt of Lakshmana’s onslaught and fell down dead on the ground. 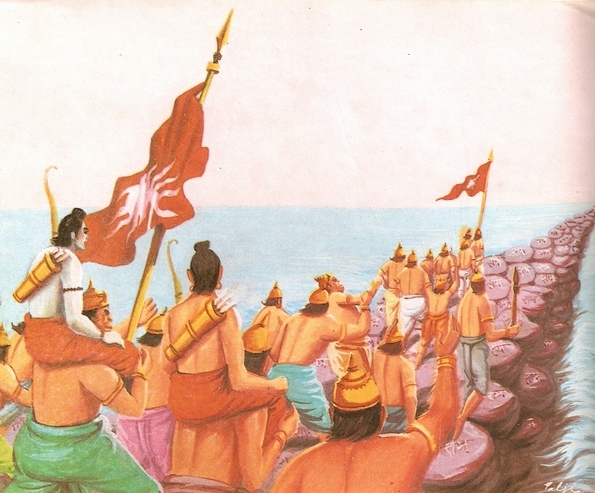 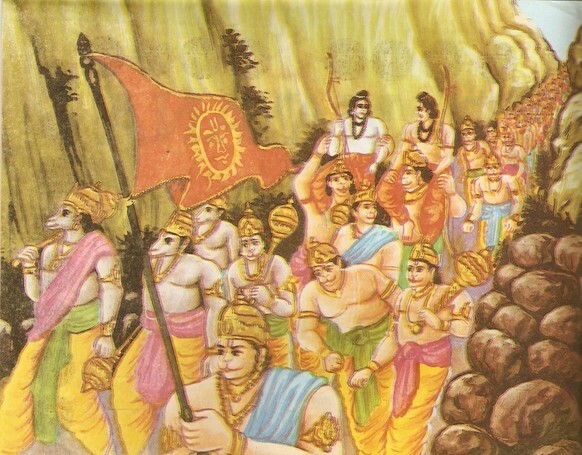 As soon as Meghanada fell down, the Vanara soldiers raised their slogans – Victory to Rama Victory to Lakshmana. 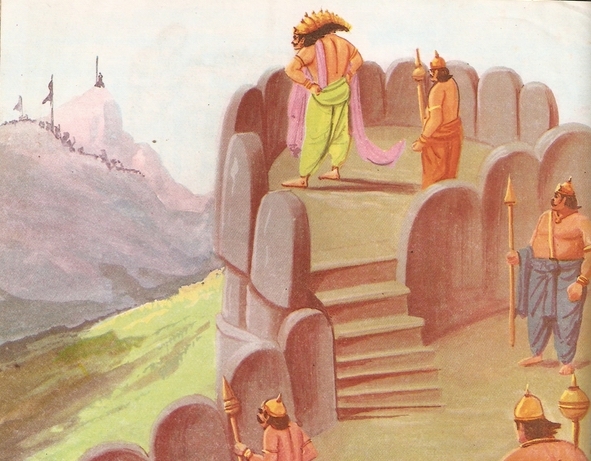 This ends part 8 … tune in for part 9 next week.